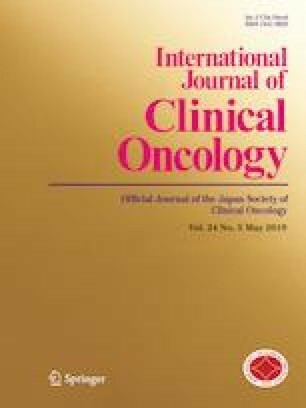 This non-interventional study (NCT02131259) enrolled treatment-naïve and pre-treated patients with inoperable/recurrent EGFR mutation-positive NSCLC, eligible for afatinib treatment as per the afatinib label in Japan. Patients received afatinib at the approved dose (20, 30, 40, or 50 mg/day; physician decision), and were observed following treatment initiation for 52 weeks or until premature discontinuation. Primary endpoint was the incidence of adverse drug reactions (ADRs). Secondary endpoints included ADRs of special interest, and objective response rate (ORR). Post hoc Cox multivariate analyses were used to assess prognostic factors associated with the incidence of ADRs. 1602 patients, at 374 sites (April 2014–March 2015), were included in the analysis; 307 (19%) were aged ≥ 75 years. The most frequently reported ADRs (all/grade 3–4) were diarrhea (78%/15%), rash/acne (59%/6%), stomatitis (31%/4%), and nail effects (38%/4%). Serious ADRs resulting in death occurred in 18 patients (1%). 762 patients (48%) had ≥ 1 afatinib dose reduction and 366 (23%) discontinued due to ADRs; the most common reason for both was diarrhea (8.2% and 6.7%, respectively). ORR was 40.1%. Real-world treatment of 1602 Japanese patients with afatinib was associated with a predictable ADR profile. Afatinib showed effectiveness in inoperable/recurrent EGFR mutation-positive NSCLC, especially as first-line treatment. As with other EGFR TKIs, prompt management of adverse events is needed in the Japanese population, to reduce serious events and outcomes, including interstitial lung disease. The online version of this article ( https://doi.org/10.1007/s10147-019-01439-5) contains supplementary material, which is available to authorized users. The authors would like to thank all the participating physicians; also the Boehringer Ingelheim study monitors, who contacted the physicians to collect the appropriate data and reported to us. We also appreciate the medical writing assistance provided by Christina Jennings, of GeoMed, an Ashfield company, part of UDG Healthcare plc, and generous support given financially by Boehringer Ingelheim during the preparation of this manuscript. KT has received honoraria from Eisai, Ono Pharmaceutical, and Kyowa Hakko Kirin, and fees for promotional materials from Ono Pharmaceutical. AG and NY have received honoraria and research funding from Boehringer Ingelheim. YN has received honoraria from Boehringer Ingelheim. MM, RI, and HA are employees of Nippon Boehringer Ingelheim. KO is an employee of EPS Corporation. TN has nothing to disclose. To ensure independent interpretation of clinical study results, Boehringer Ingelheim grants all external authors access to all relevant material, including participant-level clinical study data, and relevant material as needed by them to fulfill their role and obligations as authors under the ICMJE criteria. Furthermore, clinical study documents (e.g. study report, study protocol, statistical analysis plan) and participant clinical study data are available to be shared after publication of the primary manuscript in a peer-reviewed journal and if regulatory activities are complete and other criteria met per the BI Policy on Transparency and Publication of Clinical Study Data: https://trials.boehringer-ingelheim.com/transparency_policy.html. Prior to providing access, documents will be examined, and, if necessary, redacted and the data will be de-identified, to protect the personal data of study participants and personnel, and to respect the boundaries of the informed consent of the study participants. Clinical Study Reports and Related Clinical Documents can be requested via this link: https://trials.boehringer-ingelheim.com/trial_results/clinical_submission_documents.html. All such requests will be governed by a Document Sharing Agreement. Bona fide, qualified scientific and medical researchers may request access to de-identified, analyzable participant clinical study data with corresponding documentation describing the structure and content of the datasets. Upon approval, and governed by a Data Sharing Agreement, data are shared in a secured data-access system for a limited period of 1 year, which may be extended upon request. Researchers should use https://clinicalstudydatarequest.com to request access to study data.